Thank you for visiting our website. Race Services Company is a professional race timing business owned and operated by Tony and Debbie Newton in Davison, Michigan. Our aim is to provide quick, accurate, no-hassle results to race directors and participants so their event participation will be an enjoyable experience. To this end we have been assisting race directors with their running, cycling, and multi-sport events since 1991. We are pleased to have a strategic business alliance with Gault Race Management, which enables us to provide timing services utilizing ChronoTrack Systems, featuring disposable timing tags. Whether you are a race director interested in discussing online registration and race timing services for your event, or a race participant with questions or comments about your race results, we welcome hearing from you. Tony’s primary responsibilities at Race Services Company includes timing, equipment management, programming, and website development. You will usually see him at the finish line during events. 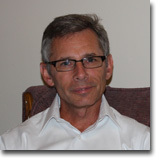 Tony is a U.S. Navy veteran having served aboard the aircraft carrier USS Kitty Hawk as an aviation electronics technician. He is a General Motors retiree where he spent time as a technical trainer in an electronic circuit board manufacturing department. He enjoys cycling, running, winter activities, and mountaineering. He has successfully climbed Mount Rainier, Denali (20,320') in Alaska, and Aconcagua (22,842') in Argentina. In 2012 he completed the Leadville 100 Mountain Bike Race. Debbie can mainly be found behind a computer. She manages the office responsibilities and at the races you will find her processing registrations and results. Her knowledge of the timing business began as a volunteer at local running races and eventually expanded to learning to time races. Sports timing has now become her primary career after 30 years in the real estate and title business. On a personal level, Debbie enjoys spending as much time as possible with her kids and grand kids. Once in a while, you will see her participating in a race. She also enjoys active/outdoor vacations where she can hike, kayak, snowshoe, cross country ski or even take a swamp walk. Deanna joined Race Services Company in 2010. Her primary job is working as a Patient Navigator in a cancer center in Clarkston. In her spare time she loves to run, bike, walk her dogs, resale shop, and watch movies. In 2012 Deanna started a race event management company, High Five Races. 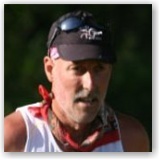 Stu Allen is well known for his extensive running endeavors, as well as being a local radio celebrity. Stu started running in 1997 and has quite a list of accomplishments, including finishing every Crim 10-miler since 1998 (15 and counting! ); 50 marathon finishes including 4 Boston's; over 35 ultra marathon finishes, including 50k, 50-mile, 100k and 100-miles. Stu says he has run hundreds of races from 1-mile to 100-miles and everything in between. He has finished near the front a few times, in the middle a majority of the time and at the back of the pack on a few occasions. "I love to run, and bring that passion with me to every race, whether I'm a participant or working". 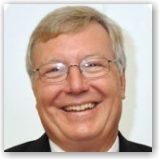 Vaughn retired from The Flint Journal after 27 years as a sales and marketing professional and is currently a Burton, Michigan City Councilman. A 30 year Crim runner preparing for his 31st Crim, Vaughn also enjoys cycling and promoting running in the community as the Co-Race Director for the City of Burton Memorial Day 5k Run & Walk. Born and raised in Michigan, married and raising three wonderful children. 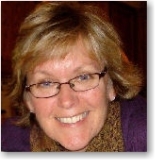 Before taking time to raise her family Kathy worked within the medical field and is currently continuing her education within the medical field doing medical coding with a goal of being able to work from her home office. 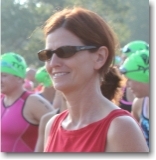 Kathy enjoys being a part of the racing community and takes pride in watching athletes achieve their athletic goals. Amber is a chameleon in the business. She adapts to whichever position is needed at the time, whether it is registration, data input, communications, timing, or equipment management. In 1995, she began working as a timer at the young age of 11 and still continues to assist during summer vacation. 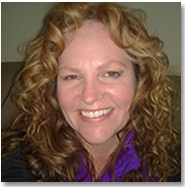 Amber is a math intervention teacher for grades 3-5 at a fitness academy in Detroit, Michigan. Amber enjoys traveling, visiting her family and friends, Zumba, and many outdoor activities. 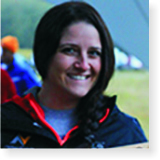 She successfully completed the M-22 Challenge in 2012 and is looking forward to her next big adventure. Race Services Company is an online registration and race timing business owned and operated by Tony and Debbie Newton in Davison, Michigan. Copyright © 2013 Race Services Company. All rights reserved.